The Trials of Muhammad Ali will screen at the IFC Center in New York City on March 5th at 7:30pm in tribute to director Bill Siegel, who passed away in December of 2018. Trials producer Rachel Pikelny, editor Aaron Wickenden, and executive producer Justine Nagan will be present for a post-screening discussion. The film will screen as part of the Winter 2019 season of Pure Nonfiction. For more information and to purchase tickets, click here. A valued member of the Kartemquin community since he first worked as a researcher on Hoop Dreams (1994), Bill nurtured The Trials of Muhammad Ali tirelessly for over two decades before its world premiere at the 2013 Tribeca Film Festival. 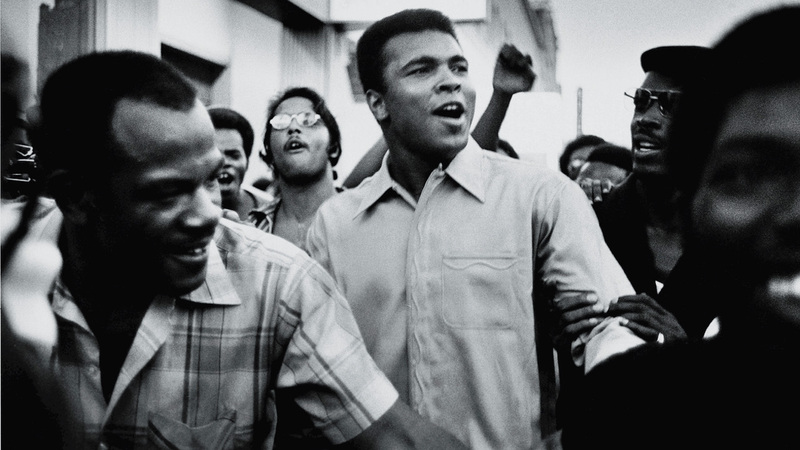 The film looked at the legendary boxer’s life outside the ring as he converted to Islam and fought to overturn the five-year prison sentence he received for refusing U.S. military service during the Vietnam War. The documentary world premiered at the 2013 Tribeca Film Festival, and was met with great acclaim at festivals around the world before being released in theaters and being broadcast on PBS Independent Lens. The film won awards for its stunning creative use of archival footage from the International Documentary Association and FOCAL, and was nominated for Best Documentary by the NAACP, as well as winning an Emmy Award for Outstanding Historical - Long Form Documentary. Please find our full remembrance of Bill, including photos and reflections from colleagues and friends, here.